Of our three main campus sites, Telford Innovation Campus is based in the greenest location – nestled in the heart of the Shropshire countryside. And there’s plenty to enjoy in the area, whether you’re more likely to battle through fellow shoppers at the mall than the undergrowth in the forest. So here’s our lowdown on some of the things you can get up to. With Telford celebrating its 50 year anniversary, there’s a whole programme of special events in the calendar – making 2018 a great year to be based at Telford Campus! Whether you’re after top comedians like Dara Ó Briain or our very own Honorary Doctor of Social Science, Al Murray, you can snap up some great entertainment right on your doorstep. Take to the stage with our performing arts courses. If you're someone who loves the great outdoors, then Telford delivers plenty to keep you entertained. With half a dozen parks offering everything from woodland to canal walks, you'll also find remnants of the region's industrial heritage interwoven in the landscape. And if that’s not enough to satisfy your wanderlust, get your boots on and explore the Shropshire Hills – a listed Area of Outstanding Natural Beauty, which includes the iconic Wrekin. Study Geography, Urban Environments and Climate Change with us. If you're an aerial acrobat, or a budding Batman, why not have a go on the aerial ropes course at Telford Town Park? 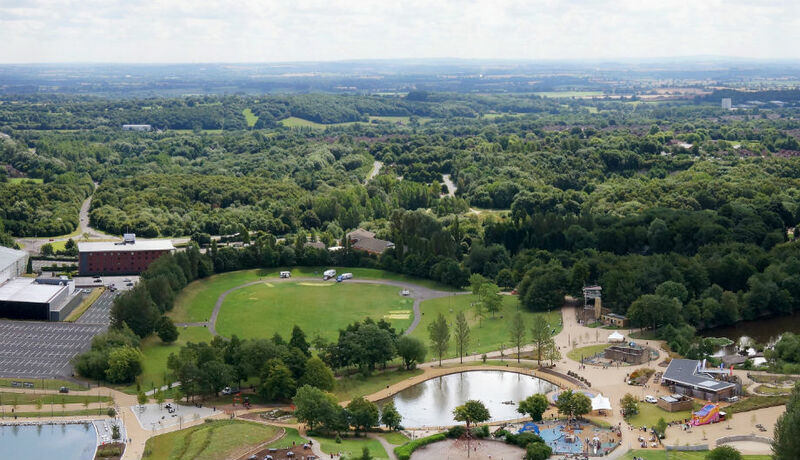 As part of the Telford at 50 celebrations, the high ropes section is being reopened – so grab your mates and see who will brave the high walks! Just don’t look down… And if that’s not enough of an adrenaline rush, why not head for the dry slopes or ice skating rink? Study the power of the mind (over matter). If you’re happiest racking up the mall miles, then head to Telford Shopping Centre – its 25 acres should keep your pedometer ticking. Or you’ll find top names like TK Maxx, Next and Gap at Telford Forge. 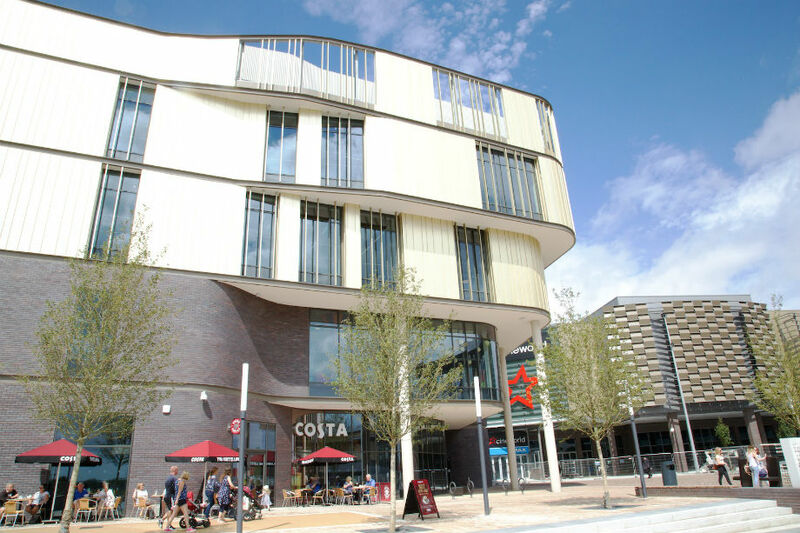 And then there’s the whole Southwater One complex to keep you entertained. After a hard day’s shopping, take a break at one of its restaurants, or put your feet up and brush up on your film studies at the Imax cinema. You can even squeeze in a visit to our University Centre Telford to get some inspiration about your future education. 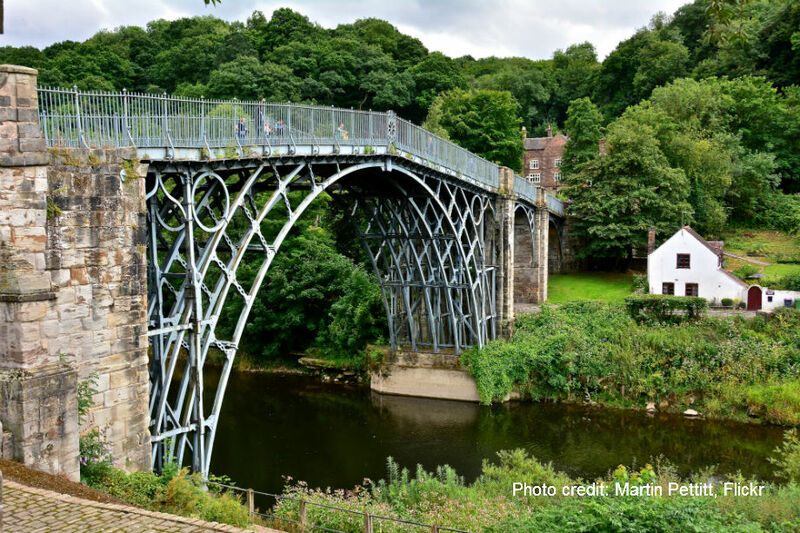 If boutique shops and a unique experience are your thing, why not head to nearby Bridgnorth? 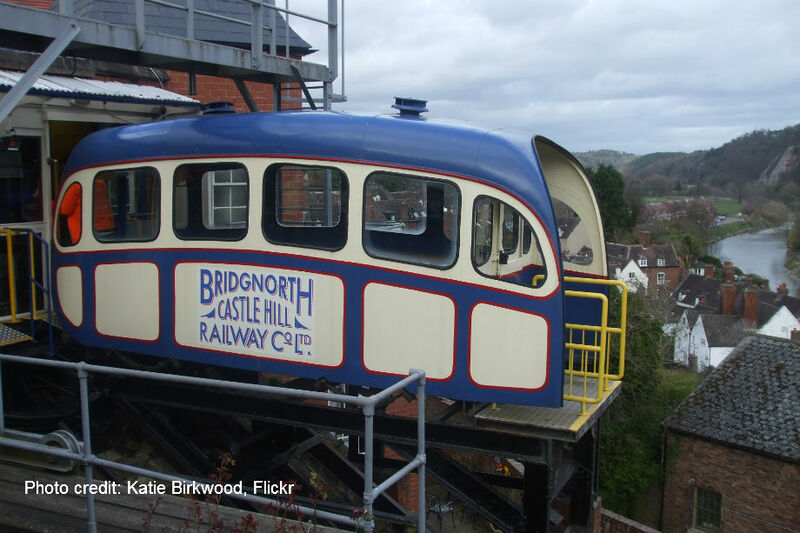 Among its attractions is the Bridgnorth Cliff Railway, linking Low and High Town. Its retro appeal is the perfect preparation to explore the town’s quirky cafes and castle ruins. 6. Strapped for cash? Geocache! If your student budget is stretched to the max, why not get involved in the geocaching – the outdoor treasure hunt craze that’s sweeping the globe? 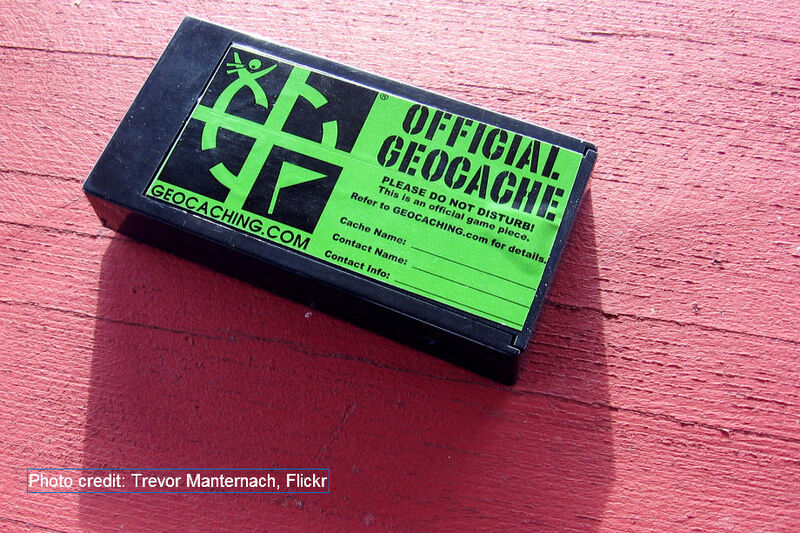 Simply use your smartphone or GPS, create a free geocaching account, and go! There are millions of geocaches of different shapes, sizes and difficulties, including over a dozen close to Telford Campus, so unearth your inner treasure hunter and get out there to discover what’s hidden on your doorstep! Become a geography teacher with us. If you’re looking to connect with some of England’s native wildlife, then you’ve got a great starting point. 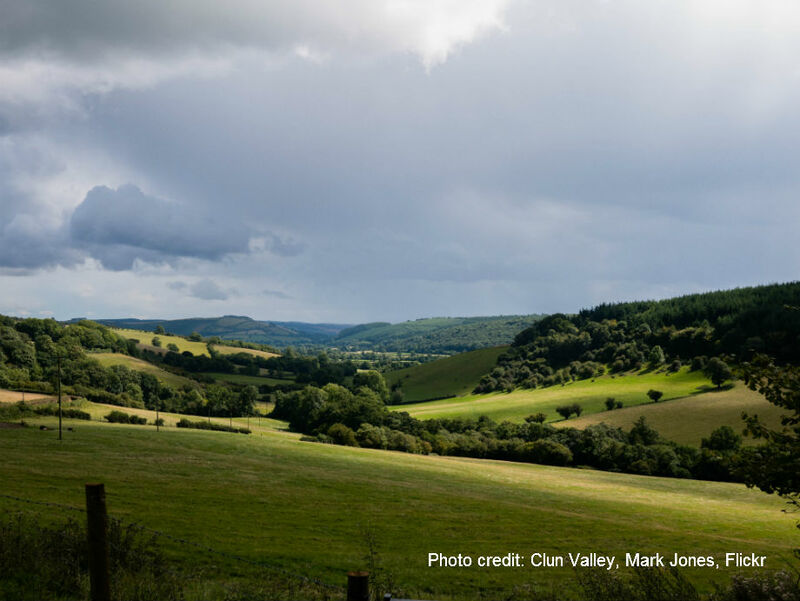 With 126 Sites of Special Scientific Interest within the Shropshire Hills, you might soar with red kite, goshawk or peregrine falcon; spot diminutive dormice; or if you’ve got a lucky streak, you might even see a pine martin in the Clun Valley – adding to the first confirmed sightings in England for over 100 years! Did you know you can study Animal and Wildlife Conservation at Wolverhampton? Our Faculty of Science and Engineering has some impressive links with the Royal Air Force at RAF Cosford, and joins in the fun at its annual Air Show. Only 15 minutes’ drive from Telford Campus, its museum runs exciting events throughout the year – and this year is no exception. Celebrating 100 years since the formation of the RAF, there will be unique opportunities throughout 2018 for those who love all-things-engineering, including the chance to get up-close with their 100 Cockpits and Cabs events. Step back in time with our History and War Studies courses. 10. What’s in a name..? Get your best selfie pose prepared! Some people collect autographs, others train numbers… and then there are those of us who love a curious or comical place name. If you’re one of us, the countryside around Telford Campus offers a veritable smorgasbord of snigger-worthy signs to hunt down. 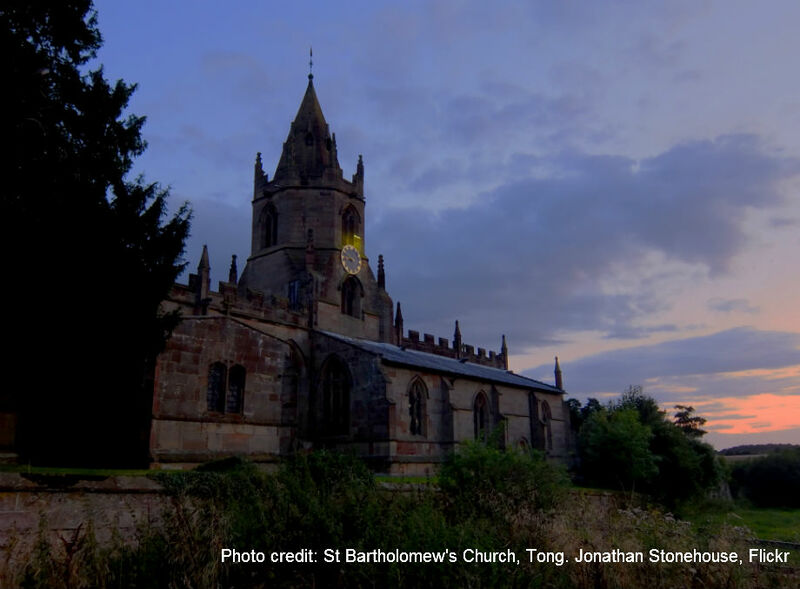 Whether you head to the home of the modern Olympics; Much Wenlock, or visit “The Westminster Abbey of the Midlands” in Tong, why not take a detour through hamlets and parishes including: Arscott, Boreton, Crackleybank, Cruckton, Dawley, Frodesley, Nobold, Picklescott, Pulverbatch, Plealey, Snailbeach, Trench… and so many more! Explore language and linguistics with us.